0 Indian Rocks Beach Vacation Rentals. Indian Rocks Beach is a small and quiet town with just a population of 4000 people. The barrier island is located off the Western Coast of Fl, which is south of Clearwater. The amazing area provides a more quiet atmosphere for those looking for a more laid back and relaxing vacation, although there are plenty of activities taking place on this unique island. Indian Rocks Beach location is close to many main attractions such as Clearwater Beach, St. Petersburg Beach and a short 1.5 hr drive to the famous Disney World. Thinking about flying in? Tampa International Airport is just 30 minutes away from the Florida Island. There is a variety of different vacation rentals in Indian Rocks Beach including condos, villas, houses and family homes, providing a large selection of what best suites you. Ready to book your Indian Rocks Beach vacation? 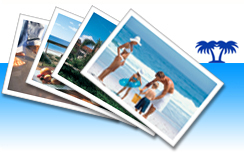 Ivacationonline.com works closely with vacation rental owners, providing low cost rentals. Ourvacation rental softwareallows you to book your unit of choice and dates in a matter of minutes. Check out our selection of Indian Rocks Beach rentals and your next vacation can be all ready to go! !